Previous year GS papers have some good questions on Modern History, Polity, Economy and Geography section and solving them will help get a broad idea about many topics. This Booklet will be Helpful for UPSC Mains Paper, GS1, GS2, GS3, GS4 . The book is very useful for Answer Writing which plays vital role in General Studies Papers. It is not only information that you give in answer, but also a style of presentation, way of drafting, flow of language, clarity of thought, relevance of argument, proper analysis and structuring of answer, are the factors that increase or decrease marks. With this General Studies Mains Solved (Previous Years) Paper Set, I am offering you a book which is aims your glorious success. The requirements of candidates of Civil Services Mains are many in terms of skill, knowledge, material, technique and so on. What every candidate requires commonly and compulsorily, for writing General Studies Main papers, are included characteristics of this paper set. I have carefully included all relevant aspects to fulfill these needs. 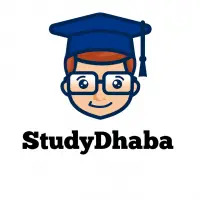 I have endeavored to take the answer writing book beyond its limit of just a solved paper-set and to make it a comprehensive guide for your preparation of General Studies for Mains. It will be your companion which can instruct you in acquiring answer writing skill, command over language and boosting your self-confidence, of course, most important amongst all.